We all have our own daily routines; wake up, shower eat, go to our nine-to-five jobs and sleep. What sets one Palestinian man apart from most people though, is his lifestyle. 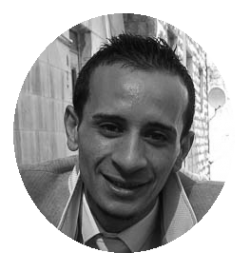 Alli Sarsoor is 27 years old, originally from Palestine living in Jordan; he has been living in Jordan almost all his life. His daily routine is taking walks while wearing unique suits with bright and vibrant colours, with his dog. He worked as an interior designer for 14 years for a fabric manufacturing company for sofas, bed sheets and more. What sets him apart from others though, was his passion and his sense of fashion and lifestyle. As a designer, he gained a lot of experiences that one day he began to design his own line of suits. “I got into designing due to my work from designing fabrics for furniture. That’s what made me go into fashion designing,” Alli said. Alli believed in spreading joy and positive vibes to people, which led him to his daily routine of walking around in suits. So who is Alli Sarsoor and why is this weirdly philosophical character trying to change the world with suits? Alli Sarsoor and one of his suits. Usually, suits are for businesses or special occasions, coming in simple black, white or grey; in Alli’s case though, that’s not enough. With an assortment of flashy suits in bright and dark colours, Alli displays those suits with a unique sense of style. Alli has always loved the idea of wearing suits since he was a little kid. He felt the need to stand out and leave his mark, wearing and designing something that no one has ever seen, after receiving comments about his suits due to its unique and eccentric style. “I’ve been wearing suits for almost 16 years, I always went to buy the most unique suits that I could find,” he said. “I love wearing suits since I was a kid, all with different styles and colours. Jordan holds a sea of entrepreneurs and artists looking to start their own business and or creative industries. Alli is not the exception. Unfortunately, according to a 2013 WIPO report, the creative industry only contributes to around three percent of the country’s GDP. This is not surprising, considering finding any statistics about Jordan’s creative industry requires you to open up a frenzy of tabs until it gets so tiny that you decide that at this point, you decide to give up on life and binge watch YouTube videos. It looks like the creatives are stepping up their game, however, with more initiatives popping up here and there. This doesn’t change the fact that Jordan still has one of the lowest economies in the Middle East and unemployment rates remain at 18.5 percent in 2017. Alli had something in mind though, he wanted to look the part and be different. 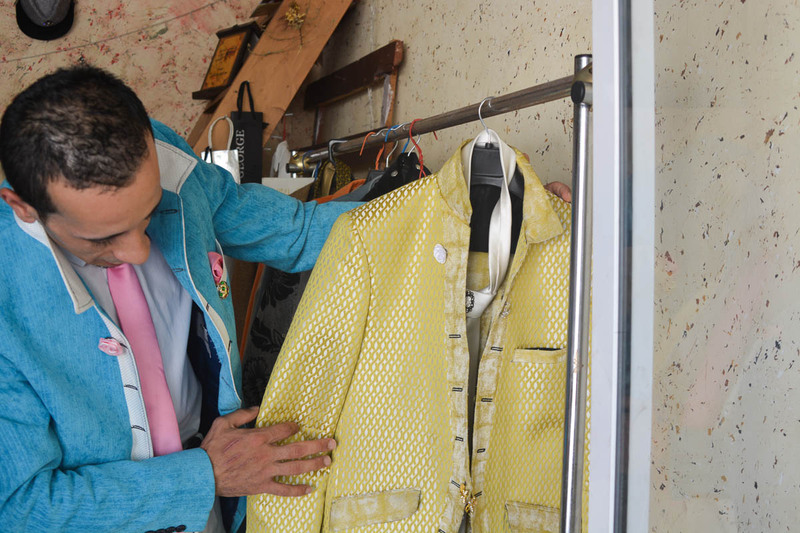 When he decided to design his own suits, he used recycled fabrics that are used for beds, sofas and pillowcases. But could being different actually cut it? No, of course not! Apparently, there are plenty of people out there, especially in Jordan looking to be “different” and turns out, life isn’t so easy. This is why Alli supports himself full-time at his fabric manufacturing job. Kudos to him though for establishing his dream while still working double jobs. He is currently trying to mix things up now, not only working on his suits, he is about to start designing womenswear. “I just got into designing womenswear, I have lots of ideas, but my main focus is on menswear because that’s what I’m good at,” he said. Luckily, he received positive comments and a lot of support to do his own thing. 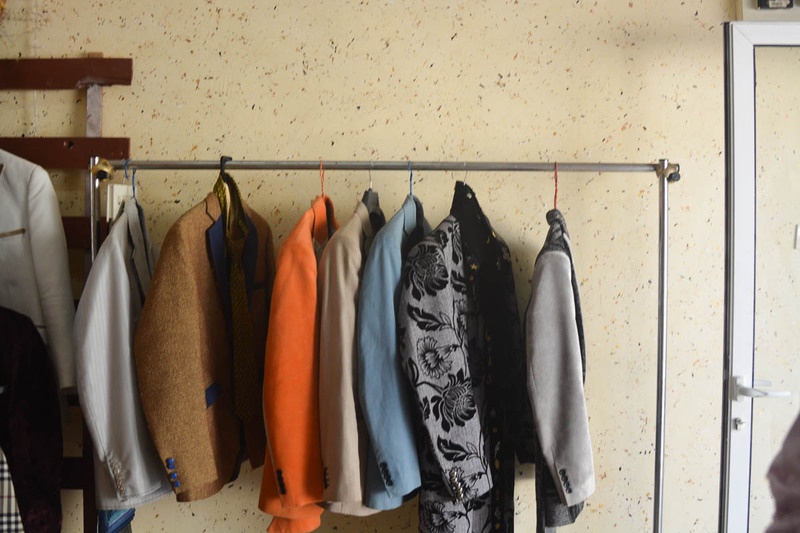 With many vibrant colours and textures, each and every suit he makes has its own signature and theme. And behind all his efforts, is his loyal companion, Julie. What is man’s best friend? Dogs. The answer is dogs. From all the movies we’ve watched when were kids like Hachiko, Marly and Me and Sally, we easily get attached to our pets, especially dogs. That’s because, unlike the human race, they provide unconditional love and they are loyal AF. 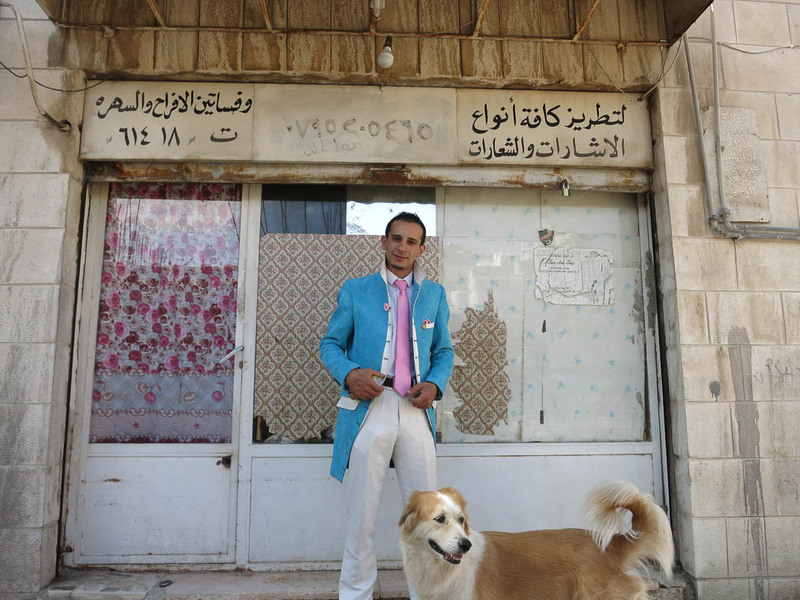 Julie and Alli walk around Al Weibdeh side by side wearing his self-made personalized suit on a daily basis, looking to attract potential suit customers along the way. A pretty smart marketing technique, plus who doesn’t love watching a guy in a flashy suit walking with a dog that’s too cool for leashes. Alli and his companion Julie are not just best friends, they are family. The love and compassion that Alli has for Julie are like no other. Alli and Julie, lovable AF. “Julie was three months old when I first adopted her,” he said. “The way she looked at me it was like a human was looking at me. Alli had a cat that had baby kittens and something unfortunate happened when his cat got ran over by a car, leaving him distraught and confused about his baby kittens. One day though, the most unusual thing happened, Alli saw Julie breastfeeding his little baby kittens. “Julie is my family and more,” he said. Apart from walking around with Julie and spreading love and joy to people, Alli tries to rescue animals such as cats and dogs. One of the projects he did was to create pet stops that have food and water for stray cats and dogs. 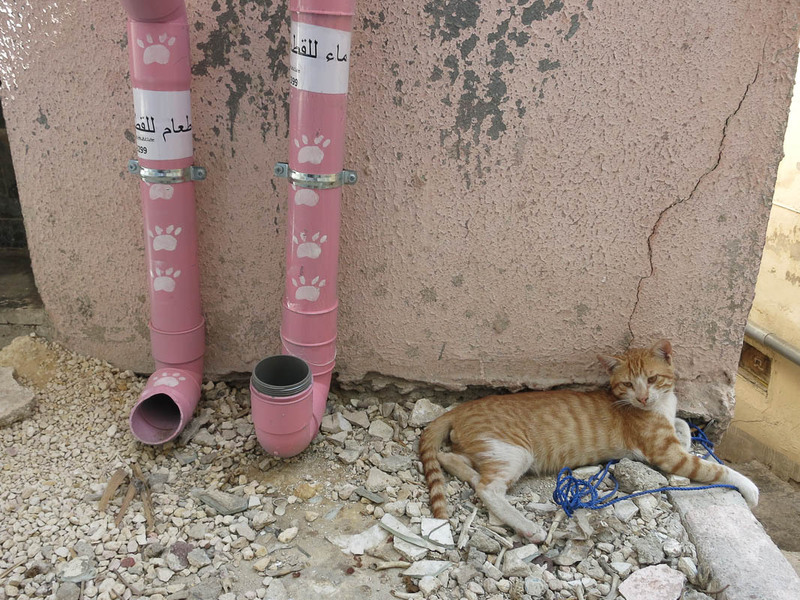 They are all over Al-Weibdeh and those pet stops are quite easy to find, they are pink and look like water pipes. The mistreatment of dogs created an uprising of condemnation amongst the community, which led to many activists and animal lovers to protest. It doesn’t help that dog breeding and dognapping is also a thriving business in Jordan. One of Alli’s pet stations. So, a positive man in a suit walking around with his dog; who is this Alli Sarsoor!? “The real Alli Sarsoor is an actor in a show called Sad Rad, I’m an interior designer a fashion designer,” he said. “I care and love animals, they are way better than us humans. Alli is a very positive person, not just positive, he loves to grab peoples attention by walking around in his suits. He is not just a fashion designer or an actor, and not just an animal lover, he is an activist who tries to save stray animals off the streets with a team of people who are willing to help and volunteer for a good cause. So in the end, yes, we can agree that being different may not be the easiest thing to do, but if it keeps you happy and you get to do it with a rockstar dog, then maybe being different is the key to a positive life. There is no love more pure than a man and his dog, and his suits. Alli Sarsoor is a 27-year-old Palestinian born and raised in Jordan. He is a fashion designer and an activist for human rights. He also works as a designer for a sofa and furniture fabric company. 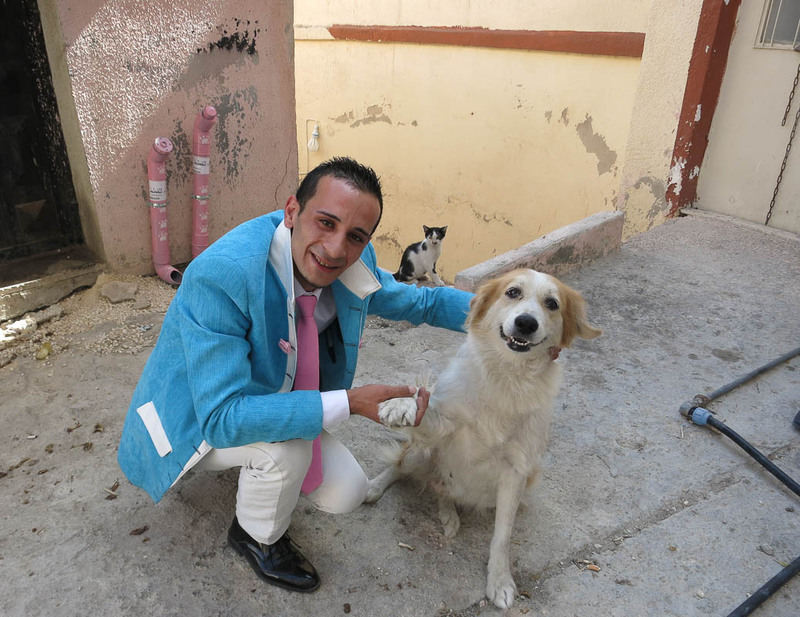 His side job, however, is creating his own customized suits, looking to spread joy and positive vibes by showing off his suits around the suburbs with his loyal dog.